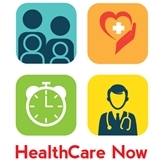 HealthCare Now (Miami) - Book Appointment Online! Office was nice. First rate atmosphere and service. Natalie was awesome. Excellent all around experience. Very clean, very friendly staff, great bedside manner!